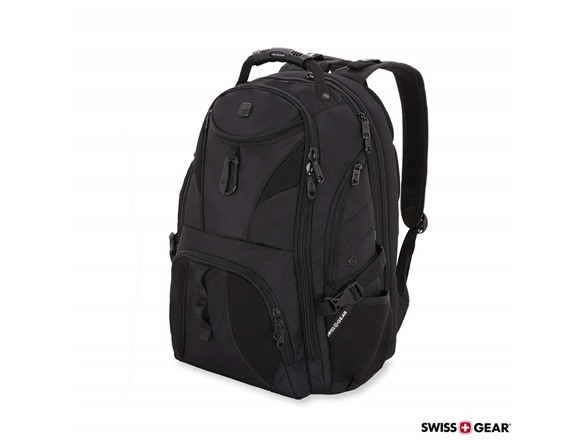 Pack all of your gear and then some in this extra-roomy, full featured laptop backpack. 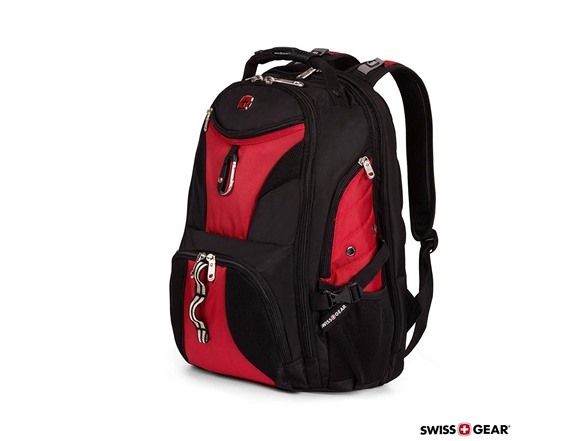 The SWISSGEAR 1900 ScanSmart Laptop Backpack is made from durable 1200D ballistic polyester fabric and is equipped with a large opening main compartment with rugged oversize zippers, adjustable side compression straps, a heavily padded back panel with Airflow ventilation technology, padded contour shaped shoulder straps with mesh fabric and built-in suspension as well as ScanSmart lay-flat technology for the ultimate in laptop-in-case TSA scanning for most portable computers up to 17” in size. 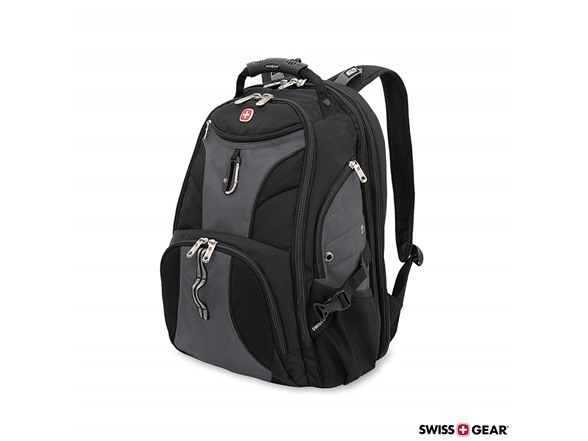 Other features built into the case include a highly protective floating TabletSafe tablet pocket, an accordion file holder, an organizer compartment, multiple internal accessory pockets, side accessory and water bottle pockets, a padded media pocket with headphone cord port, a molded top handle, a webbing daisy chain and carabiner to attach gear to when you’re on the go, a front quick-access pocket and reflective accent material built into the shoulder straps for added safety when out at night. 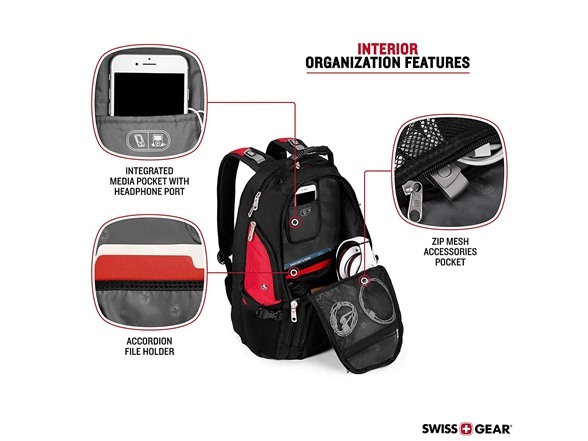 Find a designated pocket for your essentials inside a signature organizer compartment. 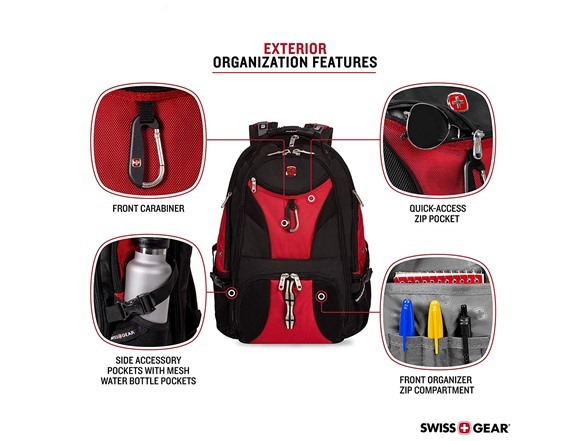 Crush the commute and secure your water bottle, clothes, files, sunglasses, and other gear within its main compartment and various pockets. 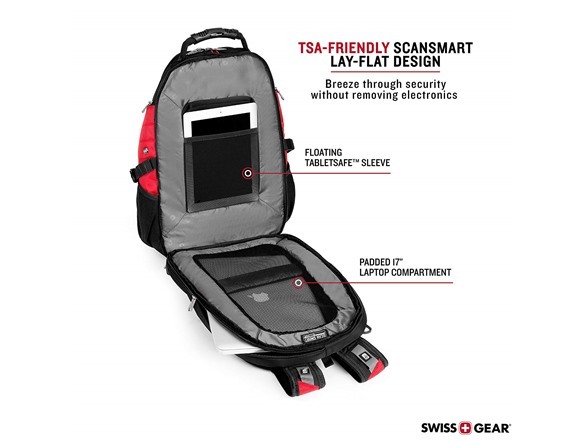 Advanced ScanSmart technology ensures speedier TSA security scans. 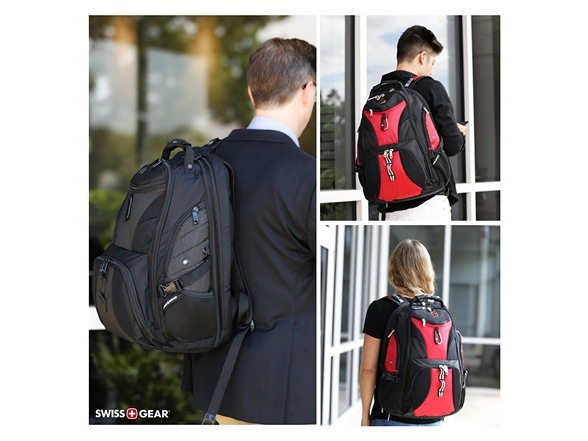 A padded 17” laptop compartment and floating TabletSafe sleeve are engineered to protect devices from scratches and falls while still allowing easy access for security scans. 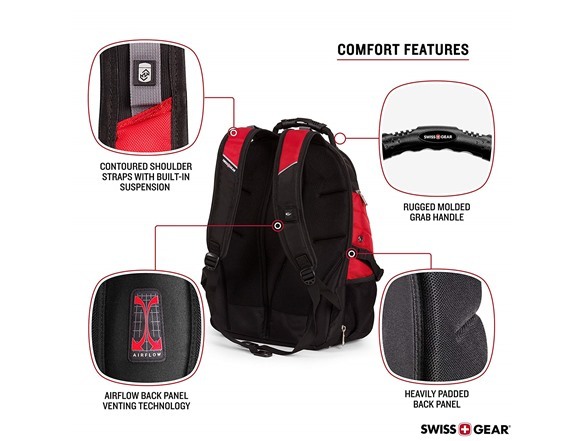 Ergonomically contoured shoulder straps are made with mesh fabric to conform to shoulders during long commutes. 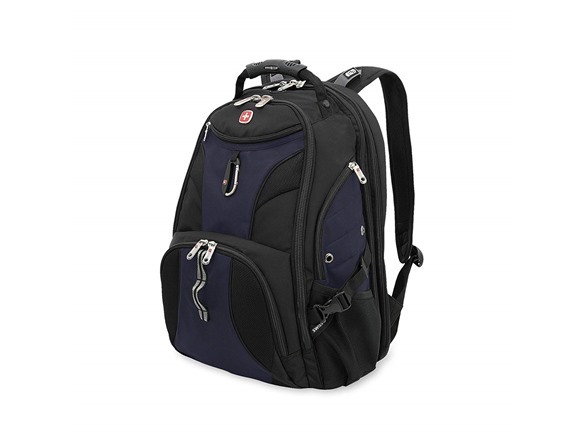 Position its plush Airflow back panels against your back to generate an airy, sweat-resistant comfort. 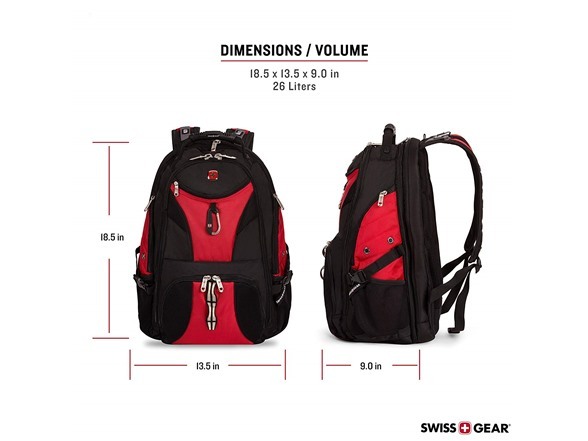 Exterior Dimensions - 18.5" X 13.5" X 9"
Laptop Compartment Dimensions - 17" X 12.5" X 2.5"